Roman rabbi; died in 1216. In the name of the community of Rome he sent a halakic decision to Judah ben Kalonymus of Speyer for approval("Shibbole ha-Leḳeṭ," ii. 75; comp. Buber's introduction, note 87). 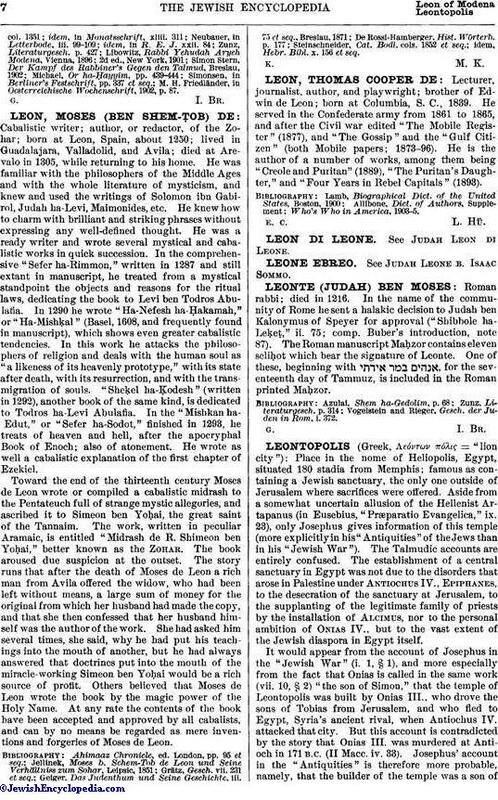 The Roman manuscript Maḥzor contains eleven seliḥot which bear the signature of Leonte. One of these, beginning with , for the seventeenth day of Tammuz, is included in the Roman printed Maḥzor. Vogelstein and Rieger, Gesch. der Juden in Rom, i. 372.